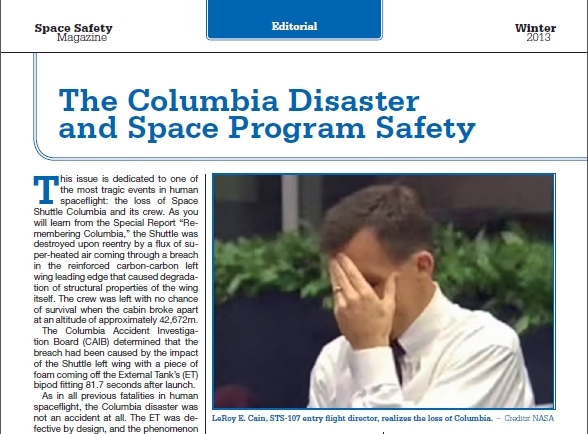 We knew this issue was going to spend a lot of time looking at Columbia. As we spoke with those who experienced the tragedy first hand as well as experts who have spent their careers analyzing it, it became clear that the message from Columbia was still highly relevant – and remains so today. But it wasn’t all grim. 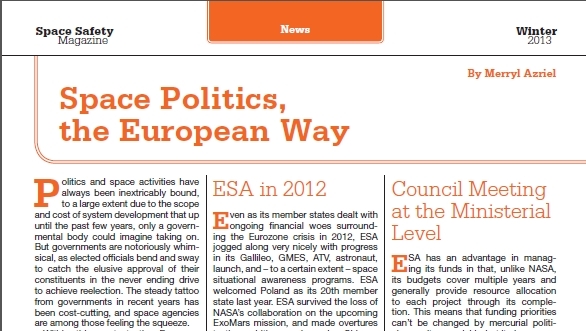 At the end of 2012, the European Space Agency was holding one of its triannual councils. The news was mostly good and we had fun delving into the national aspects of ESA politics that does not commonly make it to headline news. 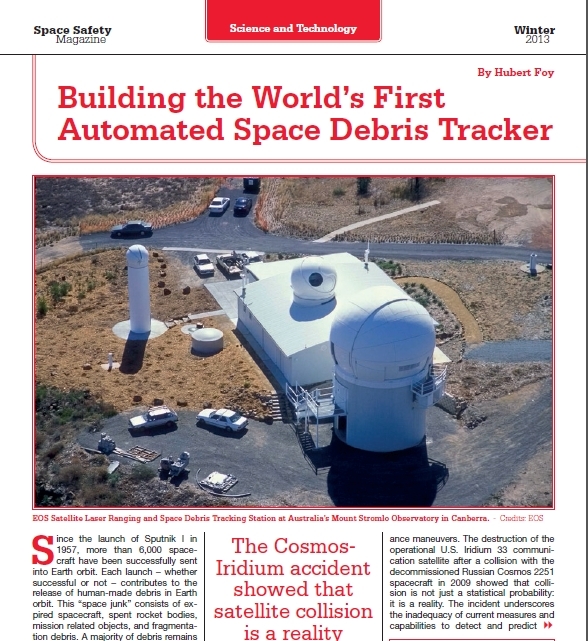 Space debris is never out of season and this look at an automated laser-based tracking system explores a promising technology that could extend surveillance capabilities beyond current radar systems. Alien life is no laughing matter – preventing cross-contamination between Earth and other planets is an ongoing challenged the agencies have not yet mastered. 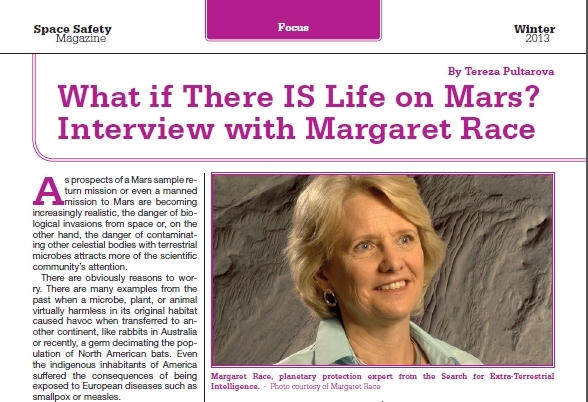 SETI’s Margaret Race tells us why we should care. 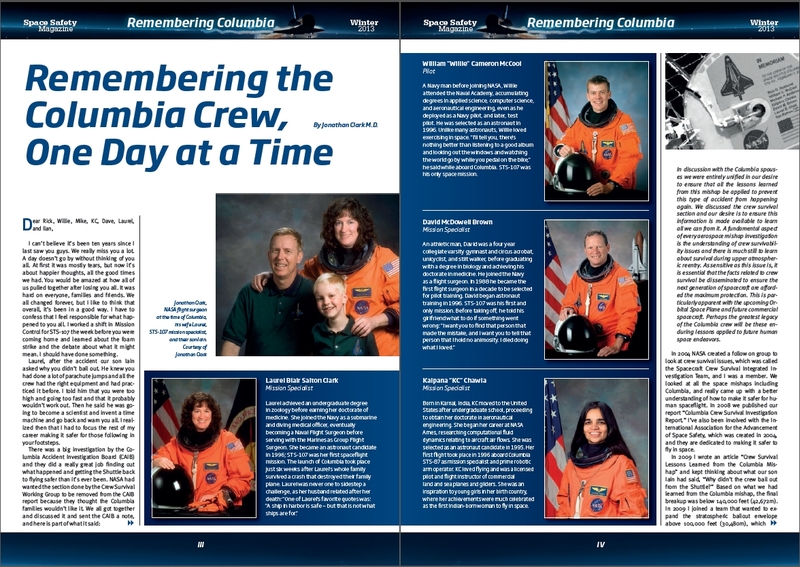 The 10th anniversary of the tragic loss of the Space Shuttle Columbia with its 7 crew on reentry was a moment to remember those lost and why they died – both their mission and NASA’s failure to identify and mitigate well-documented risks relating to the Shuttle’s thermal protection system. Noted experts weigh in on what went wrong and whether we’ve learned from past mistakes, while those who were there share memories of a poignant moment and the people they lost. Space Safety Magazine closely followed build up to Felix Baumgartner’s successful stratospheric skydive with in depth looks at the medical challenges, the technology needs, and the engineers behind the operation. Here, we feature an interview with Baumgartner himself about his record breaking experience. Baumgartner’s jumpsuit was the culmination of decades of advances in space and flight suit technology, but the history of pressure suit design begins much earlier. 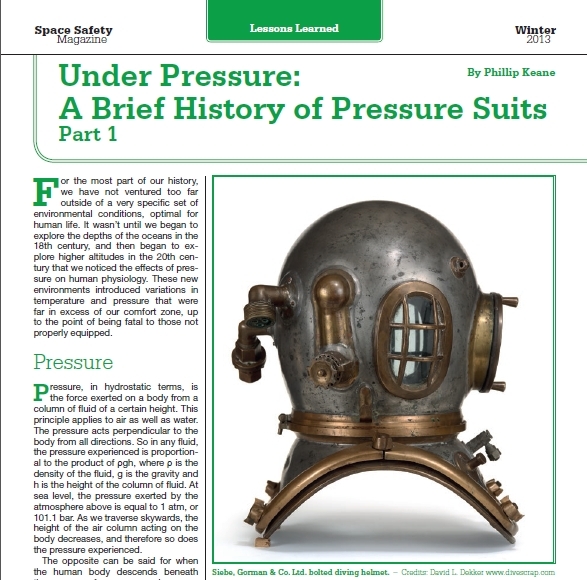 Here we explore the opening chapter of suits with the armor-like protections cobbled together for deep sea divers. 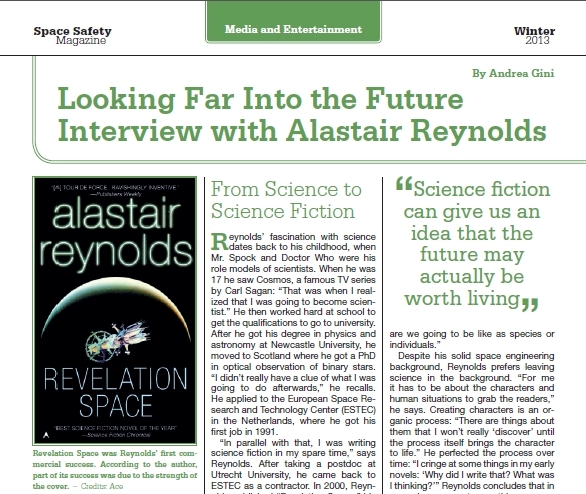 And finally we leave you with some lighter fare, courtesy of astronomer and science fiction author Alastair Reynolds, on the value of science fiction to science. Download the complete issue to enjoy these articles and subscribe to receive future editions, straight to your inbox.